Sorry if this one is a bit esoteric. 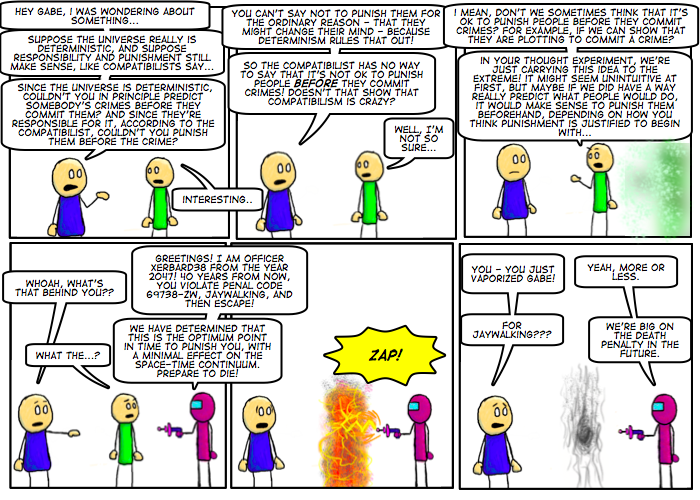 The topic of the comic comes from a fascinating recent article by Saul Smilansky, titled “”Determinism and prepunishment: The radical nature of compatibilism”, in this month’s issue of Analysis (a philosophy journal). If you can access the journal, take a look at the article, very interesting stuff indeed! In other news, only 2 days till the new Radiohead album is available for download. I can’t wait!